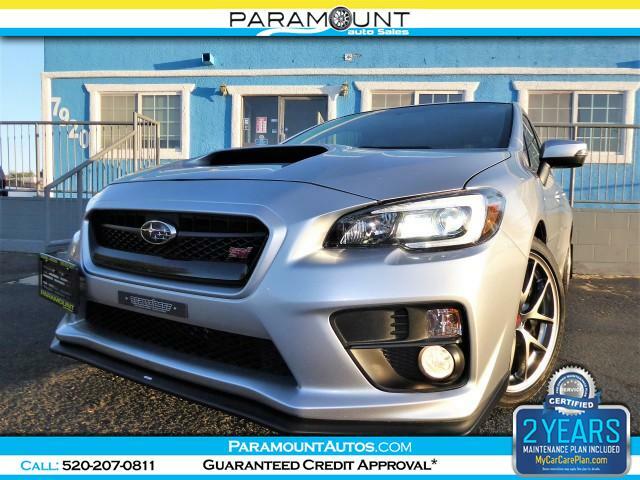 2015 SUBARU WRX STI LIMITED WITH ONLY 25K MILES AND SOME VERY NICE UPGRADES!! INCLUDED IS AN E85 FLEX FUEL SYSTEM AND TUNE FOR A SAFE AND POWERFUL PROGRAM! RUNS ON BOTH GASOLINE AND ETHANOL.. COMES WITH COBB ACCESSPORT FOR FLEXIBLE TUNING OPTIONS... ABSOLUTE DRIVERS CAR, VERY FAST, VERY CAPABLE, SOUNDS AMAZING, MUST SEE AND DRIVE!! THIS IS A LIMITED TRIM SO IT IS FULLY LOADED INCLUDING NAVIGATION, BACK UP CAMERA, HARMAN KARDON SOUND SYSTEM, HEATED LEATHER SEATS, AND MUCH MORE! !